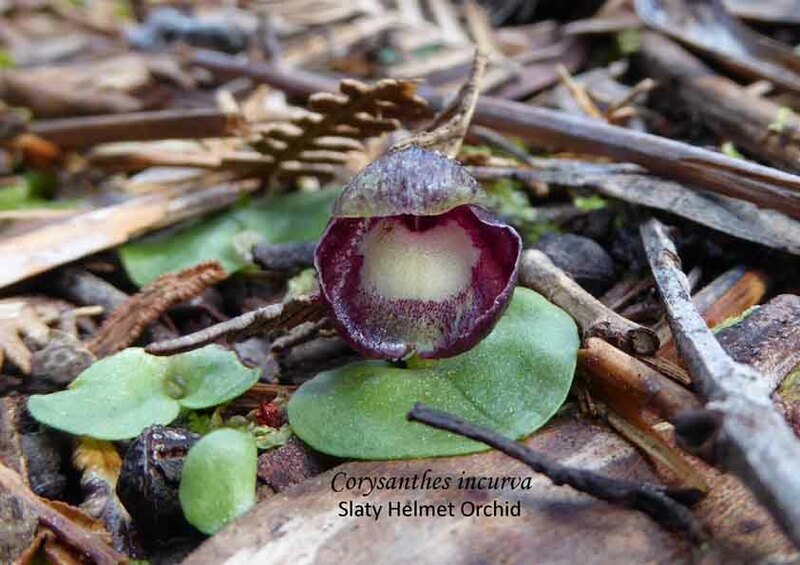 This is one of the most attractive of the New South Wales epiphytic orchids, the common name being derived from the fact that it is only found in the forests of the Antarctic Beech, which occur in the highlands, extending from the Barrington Tops in New South Wales northwards to the McPherson Ranges in southern Queensland. However, within those forests it does occasionally grow on other than beech trees. Due to the clearing of those forests it is fast becoming an “endangered species”. It is a plant of the highlands and is rarely found below 900 metres, consequently it will tolerate cold conditions, however, it requires protection from frosts and needs to be grown where there is plenty of air movement. 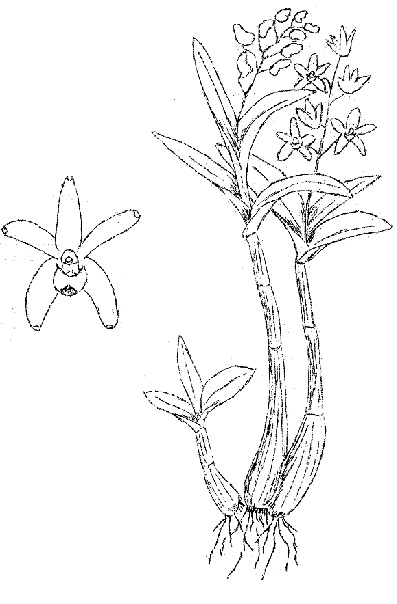 There are from two to six light green lanceolate leaves at the top of the stem which is from 12 to 50 cm high and the mature stems are ribbed. The flowers number from four to 20 in the raceme and are intensely fragrant during the warmer part of the day. They are from 3 to 5 cm in diameter. Flower spikes are terminal and some stems will flower for two or three years. They are a glistening pure white to cream with the exception of the labellum which is streaked with purple. The common name is derived from the labellum, which is short and broad, bearing a fanciful resemblance to a falcon’s beak. The flowering season is from August to October. It can be grown using either slab or pot culture using a mixture of aged pine bark, scoria* and charcoal* in a plastic pot and grown under 50% shadecloth. Fertilise lightly during the growing season using foliar fertilisers at half the recommended strength. Propagation is usually by division. *NB Charcoal is no longer used and scoria can get cold and wet in winter. 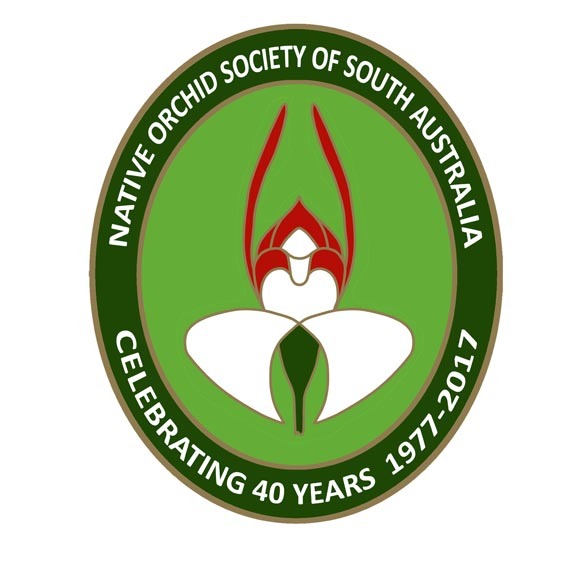 This entry was posted in Growing Epiphytes/Lithophytes and tagged Adelaide, Australian orchids, Beech Orchid, Dendrobium, Dendrobium facorostrum, epiphytes, Growing Ephiphytes, Native Orchids, South Australia, Wild Orchid. Bookmark the permalink.